Verena Kantere is a Senior Researcher and the Excellence Grant Holder at the Institute of Services Science, CUI, University of Geneva (UniGe) working towards the provision and exchange of data services in cloud environments, focusing on the management of Big Data and performance of Big Data analytics, by developing methods, algorithms and fully fledged systems. Before coming to the UniGe she was a tenure-track junior assistant professor at the Department of Electrical Engineering and Information Technology at the Cyprus University of Technology (CUT). She has received a Diploma and a Ph.D. from the National Technical University of Athens, (NTUA) and a M.Sc. from the Department of Computer Science at the University of Toronto (UofT), where she also started her PhD studies. After the completion of her PhD studies she worked as a postdoctoral researcher at the Ecole Polytechnique Federale de Lausanne (EPFL). During her graduate studies she developed methods, algorithms and fully fledged systems for data exchange and coordination in Peer-to-Peer (P2P) overlays with structured and unstructured data, focusing on the solution of problems of data heterogeneity, query processing and rewriting, multi-dimensionality and management of continuous queries. 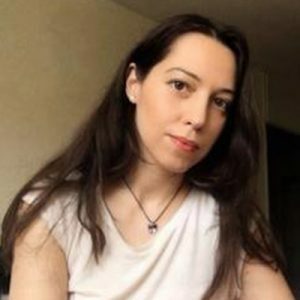 Furthermore, she has shown interest and work in the field of the Semantic Web, concerning the problem of semantic similarity, annotation, clustering and integration.